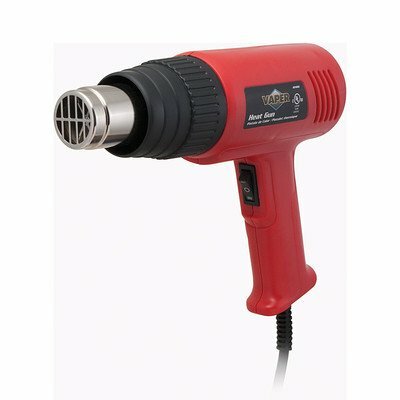 TL22400 Features: -Heat gun. -Durable ABS body. -Dual temperature setting. -3 Position rocker switch: off, high and low. Generic Specifications: -Rated power: Low setting 750W, high setting 1500W. -12.5 Amps, 120V. Generic Dimensions: -Product Weight: 1 lb. Dimensions: Overall Product Weight: -1 lb Pounds.